“Give him some air,” someone said. I was back. I didn’t want to be back. There was the has-been Santa, smiling at me as if he knew every secret in my heart. I struggled to get up and someone offered me a chair. His name was Richard. How did I know that? “He has gone and come back again,” the old man said. Then he looked straight at the Secular Humanist. “And he has survived.” The delegates became quiet. The old man looked around the room until he got to me. Then he smiled. “I believe that you have a report to give us of your interview with my Son,” he said. It just came out. Even I was surprised. I didn’t know what to say. Silence reigned for the time it took my words to register, and then a loud guffaw came from the Secular Humanist, Richard, as his hand slapped the table hard. Richard was certainly relieved but I couldn’t believe what I had just said. “Well, that is….what I meant to say….” But I couldn’t seem to say anything else. I looked quickly at the old man but he was looking at Richard with a small smile playing at the corner of his mouth, his hand propping up his chin as he slouched in his chair. He didn’t say anything. “And Allah,” someone else said. The comments chased each other around the room for a moment but then quieted down as every eye, growing wider, turned toward the old man. A question was waiting to be asked. “Sir, is it?” the old man said. He stood up. His fingers made tents on the table top as he leaned forward to gaze at the gathering. He seemed to grow taller and stronger. His presence filled the room. “I think you are ready to hear his report now.” His voice resonated with power. This was no has-been Santa in flip flops. That much was clear. He turned away but then stopped to look at the young man who sat against the wall. He was the one who had given him the peanut butter and jelly sandwich and the apple. He stood up and joined the old man, standing arm in arm, their backs to the table, facing the big set of double doors that opened wide of their own accord, a brilliant light shining through them into the room. The two of them walked forward into the light while the doors slammed shut behind them. I looked at him and then at the others and, finally, at Richard, the Secular Humanist. He looked satisfied with himself for some reason. “Can I ask you a question?” I said, looking straight at him. “That wasn’t first contact,” I said but he wasn’t listening anymore. Richard was fighting with his cell phone. “I can’t get any reception in here,” he said. “I have to get a hold of the President.” He stood up and slammed his cell phone on the table, breaking it. “Somebody get me a cell phone that works, dammit.” His people broke into a frenzy of activity but none of the cell phones were working. One of the assistants went to the big double doors apparently intending to find a working phone in another part of the building but the doors would not open. Someone checked the secondary doors leading out of the room at the back, but they were locked as well. “What about the windows?” someone said. One of the delegates was already at a window. “Break them open,” Richard said. “This is important. Use a chair if you have to.” But nobody moved so Richard got up with a grunt, grabbed a chair and threw it at the window. It bounced back onto the floor without doing any damage whatsoever. “Let us go?” Richard said. Then he sat down hard in the nearest chair and decided to keep his mouth shut. I was quiet for a long moment. Then I looked at the Secular Humanist again. “It was a moment of honesty I am beginning to regret,” Richard said. “But if it’s true –?” Yohann said. Not to me. I looked around the room. The rest of the delegates were listening with great interest to the discussion but not participating yet. Why not? The Protestant delegate decided to speak up. The room burst into a quiet round of applause to indicate their agreement. I looked around. “Yes, well, they think we should all have it,” I said. Before anyone could respond, another voice broke into the discussion. Heads turned toward the young monk who had just stood up from his chair against the back wall. I couldn’t tell who it was. “Certainly, young man,” Yohann said. “Please.” He indicated that he should step forward by the table and address the delegates. “Remind us,” Yohann said quietly. “But you can’t anymore?” the Pope said gently. Again heads nodded around the room. It looked like the discussion would start to get serious now. Everyone was engaged. Everyone now understood that they had a stake in what would happen next. This was real. It was as real as it could get. I couldn’t help but smile. How did he do that? I had to say one more thing before we could get into the details of my report. “Yes, we understand. What else?” They were impatient to get on with the report and the discussion. But I wasn’t done. “That’s what I was told,” I said. I raised my hand to stop the discussion. “Good….Evil. I don’t think it’s so black and white,” Richard said. “Well, maybe he will lose this war,” Richard said. Was that satisfaction in his voice? “Young man, you really must be clearer,” Yohann said. I decided to stand up and walk around to get my mind thinking more clearly. The room was quiet again. Again the room was silent. “I still don’t accept that we are as bad as all that,” Richard said, his voice subdued. “I’m not a slave to anybody,” Richard said. “Saying what?” Richard was just looking for a fight. “Not if I can help it,” Richard said. “I’m not scared of this alien God of yours,” Richard said. “You should be,” Yohann said looking at him for a long moment. Richard seemed to shrink under that gaze. There were murmurs of agreement from the delegates. “Why is that?” Yohann said. Before Richard could reply, I jumped back in. “I think we are agreed that the solution to the evil in human nature is beyond our ability to solve on our own,” Yohann said. He looked around the room to get agreement from the rest of the delegates. “It’s the way we were created to be,” I said. “This life cut off from God, being slaves to the evil within, that’s the weird thing. That wasn’t God’s original intention when he created our world. 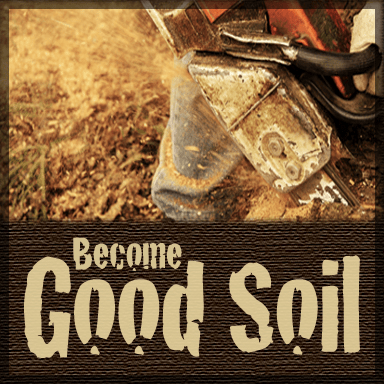 We need God to come live in our natures and make us into a new kind of person. We need a new relationship with the Divine. It’s as simple as that.” I was exhausted and slumped into my seat. The room was quiet for a long moment. “This can’t be happening,” Richard said. “Isn’t that the truth,” Richard said. “And if we don’t?” Richard said. “I thought you said he wouldn’t force us to join him,” Richard said. It was an accusation not a question. I looked at Yohann and caught his eye. He smiled sheepishly. “Even an old man, such as myself, can throw out a pearl once in a while,” he said with a twinkle in his eye. I turned back to face Richard. “He will become your God, people, don’t you get it? A real God with real demands. He will have authority over your lives. You will lose your autonomy, your freedom, your independence. Mark my words. 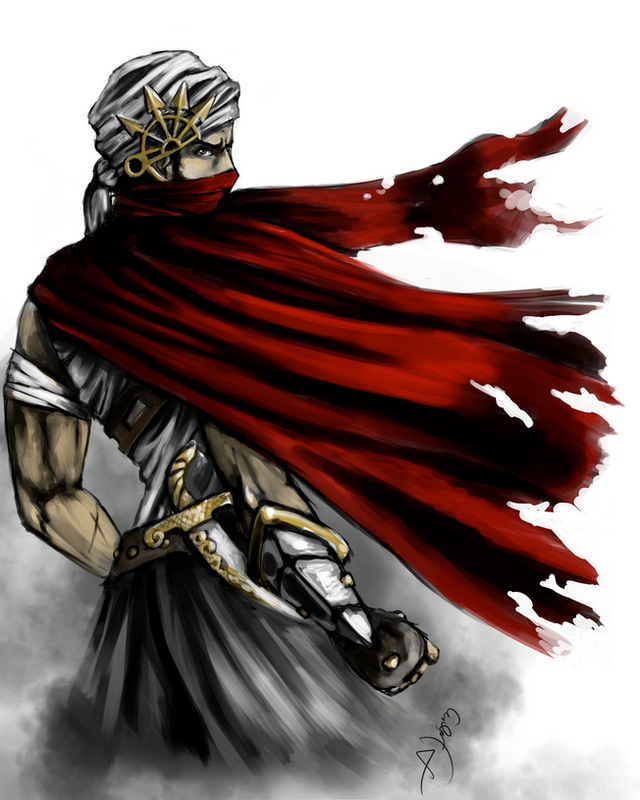 You will regret the day you let him take over.” He sat down with finality. “Richard,” I said slowly, “maybe I didn’t make it clear before.” I was groping for words. “He’s good. He loves you. He’s not a tyrant. He’s more like a lover or a friend.” I felt a check in my spirit so I stopped. Then I knew what I had to say. “I suppose. We’re talking about getting a divorce now.” His face was made of stone. Lord, how do I get through to him? “What’s your point?” Richard said. “I hated my father,” Richard said. “I think he already knows,” I said quietly. “Fine. I’m through here. I’m leaving.” Richard got up, hesitated, and then marched to the big double doors and shouted. “Open up these here doors, right now.” He paused. “Right now. I mean it, dammit.” He stamped his foot hard against the floor. He went up to the door handles, pulled, and the door swung open. He looked back in triumph and then walked out. The door swung shut behind him. One of his young assistants ran after him and pulled at the door but it was locked again. He turned back and slowly walked to his seat. I looked at him. Yohann seemed to be changing, growing. Somehow, he was more solid. He took his glasses off and began to polish them with the tail of his shirt. He spoke clearly so that the entire room could hear. “But I did not understand until now, how good he really was. If he is willing to die on the cross to save me, if he was willing to suffer at the hands of the very people he created to show that he truly loves me, and that he wants me back, well then, I know whose side I’m on.” He sat down abruptly. The room seemed to fill with a presence. I could sense that he was there, listening, working, encouraging. “Tell us the old, old story,” the Pope said to me, “the one we love to hear so well.” There were tears in his eyes and his weren’t the only ones. How did Jesus, or the Holy Spirit, or whoever of the Three it was, how did they bring them to this point? Was it something I said? I thought I had messed it all up from the beginning. “When I first met him in the garden,” I said, “he was crying too, weeping really. It frightened me.” Tears were starting to form in my eyes as well. “Why are you weeping?” I said to him. He turned his head to look at me and then turned back to look into the night sky. He was seated on a log freshly cut down. “My children have been snatched away. They are in grave danger.” His voice was a whisper in the night air. I remembered everything and I told the story with passion and conviction and I knew that every word, every whisper of his presence, would be engraved on their hearts. There was no time to lose. Decisions had to be made. 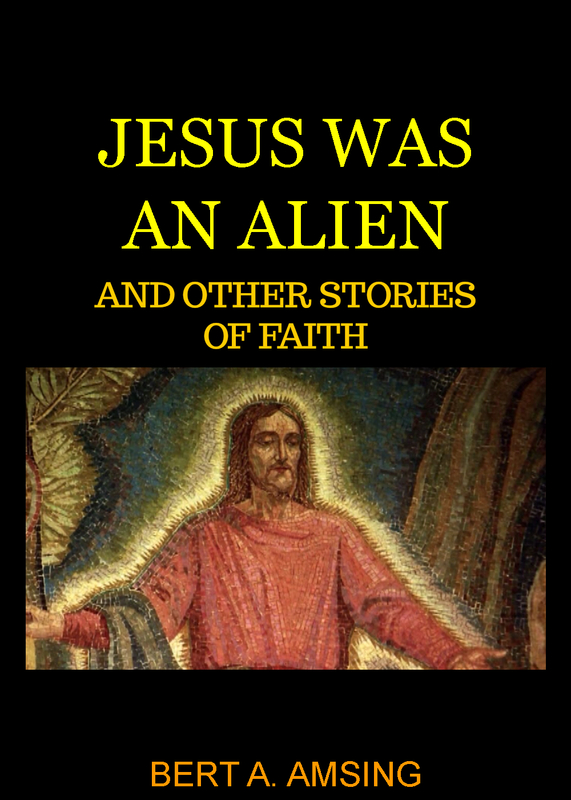 Jesus was an Alien by Bert A. Amsing. Used with Permission.